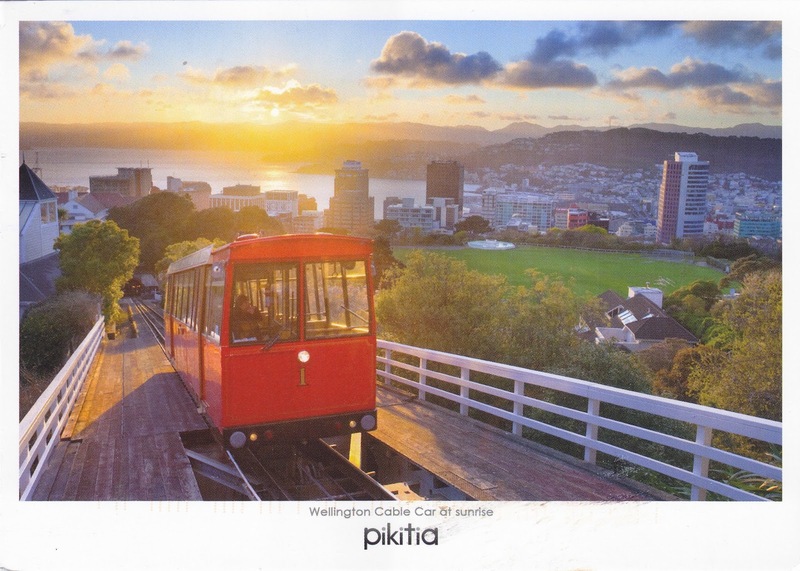 Postcard NZ-146552 from New Zealand shows a stunning sunrise with the Wellington Cable Car in the forefront. Established in 1902, Wellington’s historic Cable Car is the only cable railway currently in operation in New Zealand. For visitors, no trip to Wellington is complete without a ride on the famous cable car; for locals, it's more than a commute. A good way to spend a morning is to get to the top of the Botanic Gardens early to watch the sunrise and view the cityscape. You will need to check the local sunrise time and the cable car timetable to plan the trip. Stop at the Cable Car Museum that was the original winding house. Then walk down to the city's central business district through the beautiful gardens and old houses. The Cable Car is currently closed from June 7 to July 31, 2016 for upgrade.